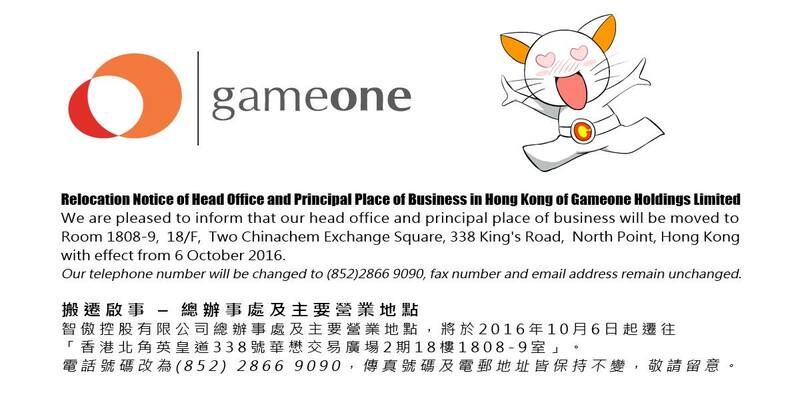 We are pleased to inform that our head office and principal place of business will be moved to Room 1808-9, 18/F, Two Chinachem Exchange Square, 338 King's Road, North Point, Hong Kong with effect from 06 October 2016. Our telephone number will be changed to (852)2866 9090. Fax number and email address remain unchanged.